Triangle Fire Systems designed, supplied and installed the fire sprinkler system at Ontario Point. Following discussions with Barratts to understand their requirements for this high rise, we agreed a value engineered approach of utilising the boosted cold water supply, an agreed enhancement to BS9251, approved by FIRAS. 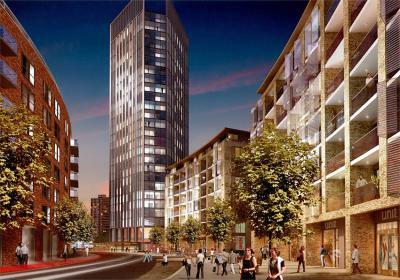 The 24 storey high rise, with 144 apartments, is the crowning peak of Barratt’s hugely successful Maple Quays development.